This video shows one of the objects on display in the National September 11 Memorial Museum: a mangled elevator motor from one of the World Trade Center towers, exhibited together with a looping video shot by a visitor to the towers in 1995, taken in the elevator ride from the ground floor to the top of Tower 2. This scene is an eloquent example of the extensive use of looped documentary media in the museum, and the odd temporalities that arise from their juxtaposition with objects such as the elevator motor — material relics, frozen in the moment of their deformation. 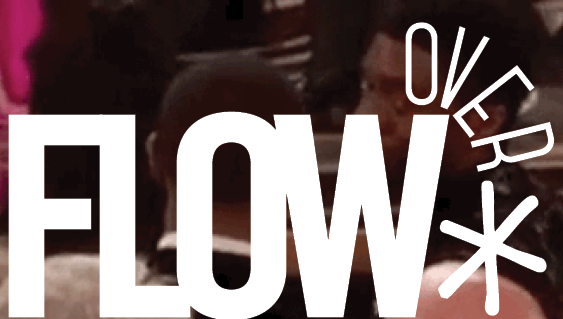 In what follows, I offer a few reflections on these repeating documentary fragments, their particular sense of timelessness, and their relationship to collective historical trauma. 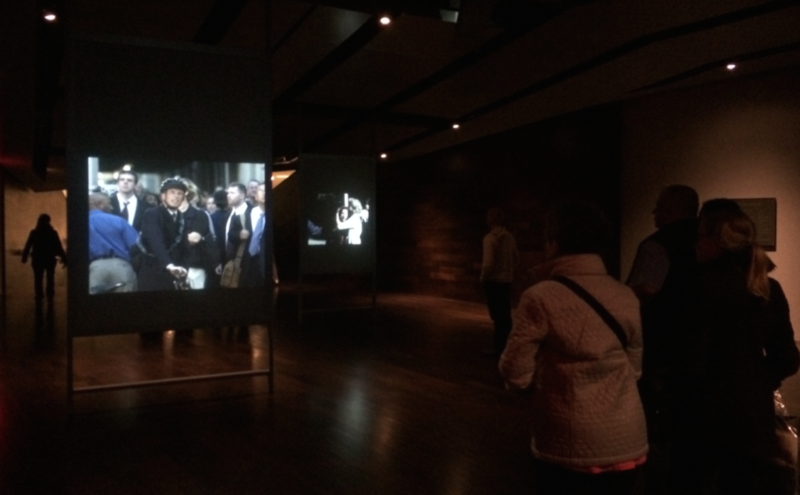 While looped audiovisual media can be found throughout the museum, it is in the main historical exhibition that their use is most pronounced. In this enclosed series of galleries located on the museum’s bedrock level, an exhibition packed with artifacts, wall text, and audiovisual media details the chronology of the September 11 attacks, some of their pre-history, and their aftermath. A timeline extends along the gallery walls, breaking down the morning’s events, in some places minute-by-minute. As we advance along the timeline, and from gallery to gallery, time becomes spatialized, elongated, and dissected into tiny increments, materialized in dusty objects — time-stamped train tickets, singed scraps of paper, abandoned high heels, charred and twisted rescue equipment — and re-played, over and over again, in looping audio and video clips and in photo slideshows. The media in the exhibit come from a variety of sources, including television news broadcasts from the day of the attacks; photos and videos recorded by journalists, filmmakers, and bystanders; footage from surveillance cameras in the neighborhood; even video from the international space station, as astronauts looked down on the dust clouds above New York. The media loops are arresting. One of the first we encounter in the exhibit is a 40-second clip from that morning’s Today Show broadcast, showing the moment when Matt Lauer first interrupts their scheduled program to report breaking news of the attacks. In the next gallery, overhead speakers play a 60-second sound loop of voice messages left by a man on a top floor of the South Tower for his wife on their home answering machine, just a minute before the tower was hit. A 12-second video loop shows the plane crashing into the tower, and further down the timeline, a 15-second looped projection shows the tower’s collapse. What is most striking about these documentary loops, and what distinguishes them from the other, non-audiovisual artifacts in the exhibition, is their double temporality. On the one hand, like the countless objects filling the galleries, these pieces of media are clearly of the past, and from a very specific moment in a very specific past, which is what confers on them both their informational value and their affective force. On the other hand, however, they bear what Mary Ann Doane describes as the eternal “‘present-ness’ — a ‘This-is-going-on’ rather than a ‘That-has-been’” of the televisual image.1 In addition, their formal and material characteristics — low-res video, pixelated, late-analog, early-digital — create a temporal confusion, marking the media as not quite old enough to be entirely of the past, but not quite new enough to be now. In viewing these looping media fragments, museum visitors experience an uncanny temporality: a past moment felt as a present-ness that is not the actual present. In this sense, the visitor’s experience is less of remembering the past, which entails an awareness of the distance between the remembered past and the present, and more of re-enacting the traumatic moment. Of course, the easiest and most immediate answer is that the media in the exhibition address the historical and political rupture that the WTC attacks represent. But the nature of the audiovisual media and the odd temporality of their viewing suggest that there is another, parallel trauma being repeated here: the trauma of spectatorship, and of documentation. In viewing or listening to this found media — overwhelming in it sheer amount — visitors to the museum are re-enacting the experience of a third of the world’s population the morning of September 11: watching the events unfold in an endless stream of still and moving images. What is being processed is not only the event itself, but just as importantly, its mediated viewing. 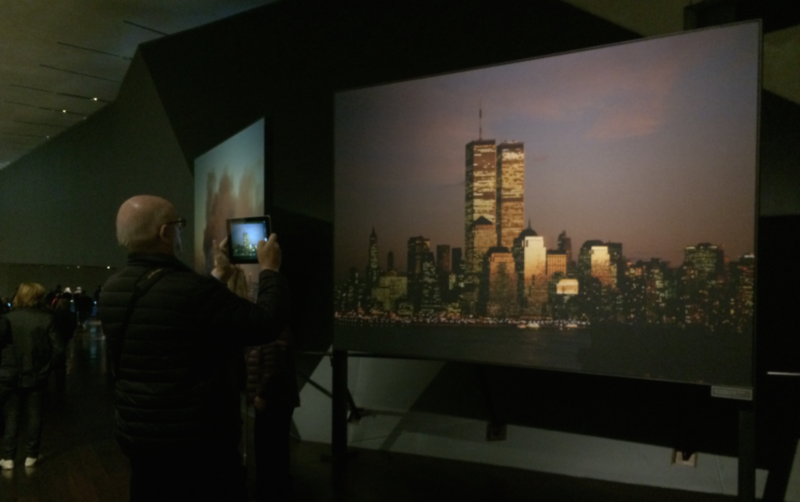 Indeed, this act of viewing is figured prominently in the museum; many of the still photos and slideshow projections scattered throughout the museum are images of bystanders looking up at the towers as they burn. Traditionally, the discourse of cultural trauma studies orbits around the question of the representability of the traumatic event — the possibility or impossibility of representation; its prohibition; its morality, or immorality. But as the collective Retort writes, the September 11 attacks “were calibrated to leave an indelible image-trail behind them” and “designed above all to be visible.”5 They were designed to be represented, to be imaged, and their power lay precisely in their documentation. Just as traumatic and violent as the event itself was the uncontainable multiplication of its image, the limitless range of its dissemination, its endless visualization and reverberation in media. What is being remembered, repeated, and worked-through in the use of these media loops — and more generally in the museum’s overstuffed historical exhibition, a model of hoarding as history — is the 21st-century trauma of overwhelming documentary proliferation. *This article originated as a paper presented at “Codes and Modes: The Character of Documentary Culture,” a conference held at Hunter College, City University of New York, November 7-9, 2014. 1. September 11 Museum Video, courtesy of the author (although the video within this video was shot by Vassilis Makris & originally titled “Top of the World”). 3. Looking at Looking, photo courtesy of the author. 4. Documenting, photo courtesy of the author. I am using windows 10 operating system and there are so many features and advantages that you will also like or love, but if you want to uninstall a program then you need to learn the process first and know where to go for the setting. Really such a awesome post dear love to read it .